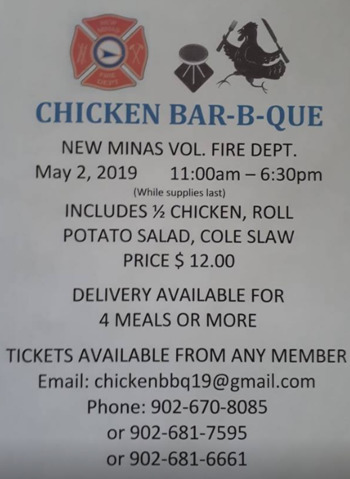 It's the annual New Minas Volunteer Fire Department Chicken BBQ! Meal includes 1/2 chicken, roll, potato salad, & coleslaw. 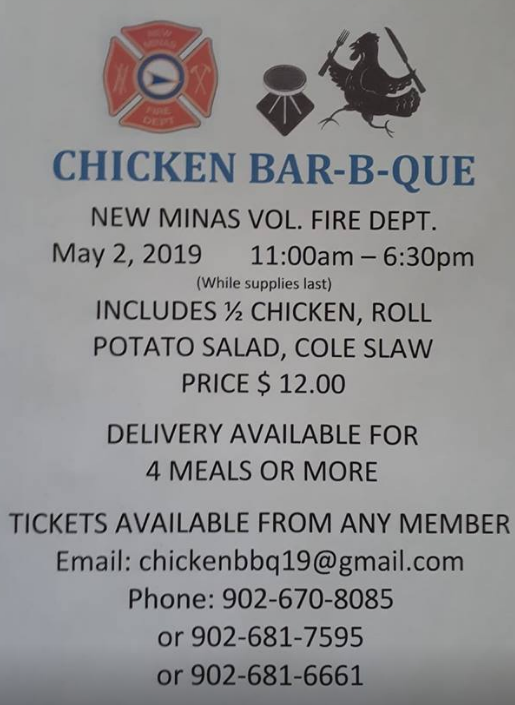 Tickets are available from any member. Delivery is available for 4 meals or more.